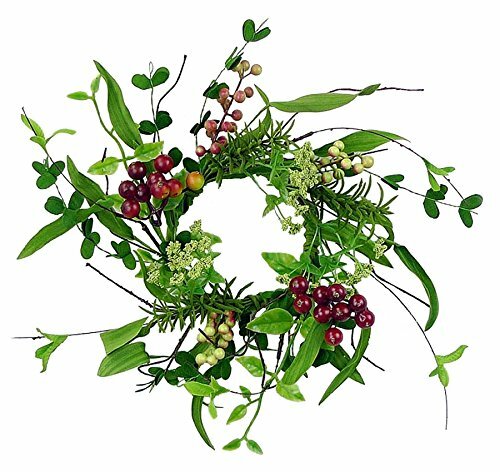 Beautiful candle ring (wreath) is made from an assortment of faux greenery accented with red and creamy berries. Stems are wired for ease in decorating. This would be lovely around a jar, cylinder or candle (up to 4" in diameter).